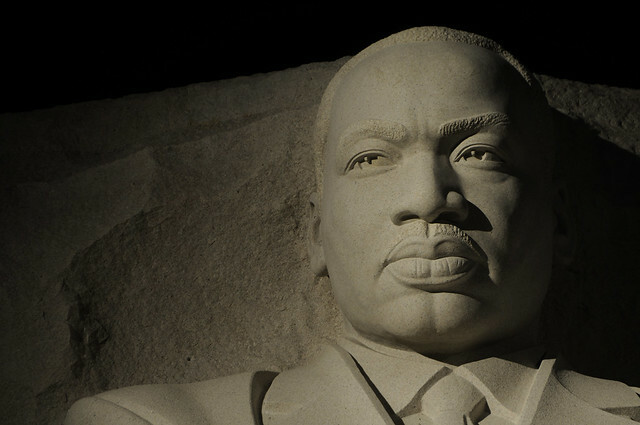 Monday, January 21, 2019, was America’s official date for this year’s Martin Luther King Jr. holiday. The day has obtained the lofty national status of a three-day holiday, despite the fact that King’s actual birth date is January 15th, 1929. In consideration of the day, I am indulging in a bit of a thought experiment. Consider what it might be like today if MLK Jr. had not been assassinated that April of 1968? Clearly, this thought experiment cannot claim certainty. At best it is a guess, but it is based on experience, evidence, and education, so it is a credible guess. Experientially, I am old enough to remember watching King’s rallies on TV when I was a child. In 1968, when Dr. King was killed, I was in what was known as Junior High School at the time. That act affected me profoundly. In fact, it was the first time I remember thinking that evil truly existed in the world. There were multiple riots and demonstrations in large cities around the nation after the assassination. Many black people (and many whites as well) had seen in Dr. King a new hope for real equality and improved race relations. The racial divide which King had helped begin to close between blacks and whites started to reopen upon his death in 1968. The subsequent rioting was widespread but short-lived as law enforcement cracked down and thousands of National Guard troops were called upon to quell the violence. How have racial relations progressed in the intervening five decades since King’s passing? It depends on what kind of “progress” one is talking about. Economically, blacks are doing better today than ever before. Under the Trump administration, black unemployment has reached its lowest level ever recorded. The place of African-Americans in American society is also higher than ever before. In every conceivable area, blacks have attained the highest possible offices, including a two-term president. In other ways, it might be said the plight of blacks in America is dire. The most ignored of these, especially by the mainstream Leftmedia, is the plague of violent crime among blacks in the inner city. Data shows that 93 percent of homicide victims are killed by other blacks. The reason for this lack of media or political interest is frankly racist. It is because this is predominantly black-on-black crime, which does not advance the Leftist narrative. How about actual relationships between blacks and whites in everyday life? That is harder to gauge with statistics. On the one hand, in terms of business, entertainment, and the culture at large America has become almost fully integrated. Blacks and whites work and live and relate with each other in most places quite amicably. On the other hand, there are some areas where integration is not seen as often as might be expected in 2019. One such arena where integration never really caught on in America has been the Christian churches. Segregation in churches today is of a different kind than in Dr. King’s time. Then it was a forced kind; while now it is a chosen segregation by both blacks and whites alike. Whether or not this fact is a good thing could be debatable. As a former clergy who happens to have white pigment, I do not believe segregated churches are a good thing at all. If Dr. King had Lived? Two factors must be understood at this point in the experiment. First, the historical summary presented above is woefully simplistic. Secondly, this is not an effort to put words in Dr. King’s mouth. I am not asking what he would say if he were resurrected today, as some are wont to do. Instead, I am speculating what might have happened if Martin Luther King Jr. had survived the assassination. What if the shooter had missed or perhaps had not hit a vital area? In fact, what if Dr. King had lived to the present day? That is not out of the question as he would have been 90 years old now. How would things be different today in that light? For one thing, he would likely still be held in high esteem by most everyone. However, I do not believe we would have a Martin Luther King Jr. holiday if he was still alive. It is usually after someone’s passing that holidays created in their honor come about. Another facet of reality which might be very different is the politics of race. It wouldn’t exist, at least not in the virulent manner it does today. The political party makeup in America would be much different as well. In Dr. King’s day, it was mainly the Republican party that promoted civil rights for black people. In fact, all of the overtly racist laws in the ‘Jim Crow’ south were passed and lauded by Democrats. King’s primary opposition came from Democrats as his efforts were aimed at those kinds of laws and policies. The violence that Dr. King and his fellow marchers faced also came from Democrats like the infamous Bull Connor. He was the overtly racist public safety commissioner in Birmingham, Alabama. In 1963, Connor had the police use dogs and water cannons turned on peaceful civil rights protestors in Birmingham. Video of that action went out on TV news nationwide and the outrage helped passage of the Civil Rights Act of 1964. If Dr. King had survived, it is unlikely that Republicans would be perceived as racists today. It is incomprehensible that men such as Supreme Court Justice Clarence Thomas would be vilified as he currently is by the Left. Perhaps had Dr. King survived the inner city crime situation might be less violent for minorities in particular. Hopefully, his non-violent methods and Christian faith would have taken greater hold in that community. Many facets of life in America and worldwide concerning race relations would undoubtedly be significantly different if King had lived. Martin Luther King Jr. was a Baptist minister as well as being a civil rights activist. When he was arrested and jailed in 1963 during the civil rights demonstrations in Birmingham, he wrote what became his most significant statement up to that time. It became a small book with the innocuous title “Letter from a Birmingham Jail.” In it King defended the philosophy of non-violent protest and challenged the concerns publically expressed by other religious leaders against him and his presence there. The direct challenge to the churches of 1963 was effective. If King had survived, how might he have challenged the churches through the 70s and beyond? I tend to believe that one thing is likely. Some of King’s associates who have continued to today would not have been as influential as they ultimately have become. For example, it is doubtful fellow Reverend Jesse Jackson would have emerged from a living King’s shadow to have prospered with his ‘Rainbow Coalition.’ I doubt Dr. King would have approved of activities such as these. My hope is that at least in the churches, MLK Jr.’s living influence as a minister would have brought church congregations to a more integrated state today. We might just have learned better the real meaning of equality in God’s eyes and learn from each other how better to worship Him together. Please, if you’re going to use photos from Flickr, please follow the Flickr terms of service and include an attribution link. Thank you for bringing that to my attention. I will supply the links henchforth.